While Monica Robertson has worked at the Cook County Clerk’s office for the past 14 years, she has also been part of one of the nation’s top gospel choirs, The Chicago Mass Choir. Monica, who currently works as a clerk in District 5, joined the famous choir in 2003 as a tenor. The Chicago Mass Choir is comprised of approximately 80 members who perform together all over the country at churches, special events and on television shows. 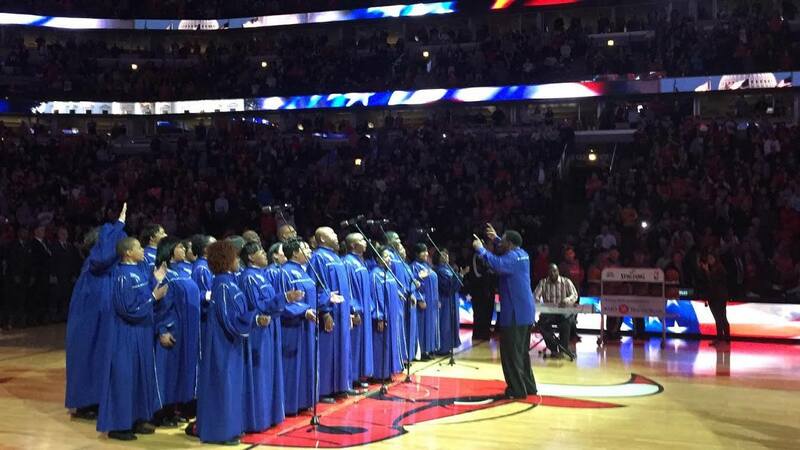 The choir has been featured locally many times, including appearances on channel 7’s Windy City Live program and at the Chicago Bulls game where they sang the National Anthem. Monica has traveled with the choir for various performances and her most memorable trip was visiting Switzerland. The choir gets together twice a month to practice on a regular basis and increases practices when they get closer to a concert. “It’s a wonderful feeling to be ministering to people through song,” said Monica. John Gosa, another Local 700 member who works for the Cook County Forest Preserve, is also in the choir with Monica. He joined the choir in 2009 and also sings as a tenor. Since 1991, the Chicago Mass Choir has been at the top of the Billboard charts, won numerous awards, and has been nominated for multiple Stellar Gospel Music Awards and Grammy Awards. This year, the choir is nominated for three Stellar Awards in the following categories: Choir of the Year, Traditional Choir of the Year and Traditional CD of the Year. The choir will be holding their annual Spring Concert and fundraiser on Saturday, May 20 at 7 p.m. at Sweet Holy Spirit Church in Chicago. Each year, the choir donates money to a charity and will donate this year’s proceeds to the Cystic Fibrosis Foundation. For more information, please visit their website at www.chicagomasschoir.com.